It’s that special time again, when we have the privilege to host a guest writer on our blog! Every quarter, Saneux collaborates with one favourite blogger in order to produce a piece entirely dedicated to bathroom interior design and décor. These blogs are guaranteed to give you the best bathroom inspiration out there, and introduce you to high-quality and unconventional interior decoration that can transform any bathroom space into a sanctuary. Since our guests are experts in style and design we trust that we leave you in the best hands when it comes to their advice and bathroom picks. This time we have invited the lovely Helen Powell, writer and editor of her own design and lifestyle blog, Design Hunter. Helen’s blog has won several UK awards and she has collaborated with various well-established brands, including The White Company, Habitat, Made.com and Samsung. Design Hunter features interiors and objects of design that capture that flawless combination of simplicity and luxurious quality that promotes better living. My philosophy at Design Hunter is that our homes should be inviting, restful and a place of sanctuary. This is perhaps more true of the bathroom than of any other room in the home. 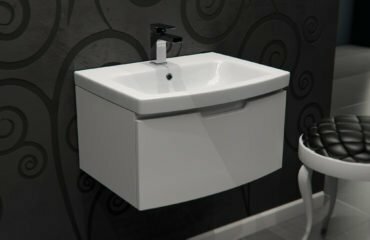 No longer a purely functional space in the home, bathrooms are increasingly becoming places dedicated to rejuvenation and wellness as we seek somewhere to escape from the daily grind, and sometimes it’s the little everyday luxuries, decorative accessories and finishing touches that make all the difference. I have several of these and often move them around all over the house, but they look particularly good in the bathroom. Bathrooms can be full of hard lines so I’m always looking for decorative accessories that will provide textural contrast. With their organic shapes these add sculptural interest too. No bathtime pampering session is complete without scented candles. This Architettura candle from Fornasetti is my all time favourite. I’ve long since used up the original candle but still cherish the lovely decorative vessel. Luckily there are others in the series for me to collect. I love the tactile feel of natural materials like wood underfoot. With it’s dark brown finish and clean minimal design this bamboo bath mat will add an instant style update. As someone who is continuously striving to keep surfaces clutter free I’m always on the look out for stylish storage solutions. These frame boxes are perfect for keeping make up, jewellery or bathroom essentials like cotton wool neatly organised and easily accessible. I’ve tried out lots of bath robes and these are hands down my favourites. Soft and absorbent, the cotton waffle fabric is just the right weight – neither too heavy or too light and the cut is slim and elegant rather than oversized, so you don’t end up with wads of bulky fabric around your waist. Better than any I’ve come across in luxury hotels they are the perfect thing to slip into after a long lazy soak.